One of the best ways to learn about Hawaii books and even meet local authors is the Hawaii Book and Music Festival this weekend, April 30 and May 1, on the Frank F. Fasi Civic Grounds in Honolulu. There’s something for book and music lovers of all ages, including a book swap (bring a gently-read book, get a gently-read book). For readers, there are author talks, panel discussions, and author signings. For music lovers, there are mele and hula performances and even a ‘ukulele kanikapila. For children, there are entertainers, storytelling, and a keiki fun zone. My son loved singing along with PBS Kids’ Mr. Steve, who is back again this year. Say “May the Fourth” out loud and you’ll understand why Star Wars fans celebrate May 4 with such zeal. You can jump into the spirit of Star Wars just by wishing someone a Happy May the Fourth Day. Get into a lightsaber fight with pool noodles, wrapping paper tubes, or even golf club bag tubes. I love the idea of having a Star Wars movie marathon party, costumes optional. Whether you’re looking for Star Wars adventures (there’s a whole expanded universe out there), humor (I recommend Jeffrey Brown’s “Darth Vader and Son”), Shakespeare (Ian Doescher’s “William Shakespeare’s Star Wars: Verily, a New Hope” is excellent), or coloring books (relax with Art Therapy’s “Art of Coloring Star Wars: 100 Images to Inspire Creativity and Relaxation”), there’s a book for you. Venture into the bright and dark world of comic books and graphic novels with Free Comic Book Day on May 7. Just show your valid HSPLS card at a participating Hawaii State Public Library and receive a free comic book. Choose from the Avengers, Pokemon, Spongebob, Strawberry Shortcake, and more. (I have my eye on Serenity or Captain America). Some libraries may even surprise you with a visit by costumed characters from the Pacific Outpost of the 501st Legion, Rebel Legion Hawaii, and Costumers Guild of Hawaii. On Oahu, visit public libraries in Aiea, Aina Haina, Hawaii Kai, Kaulua, Kalihi-Palama, Kapolei, Manoa, McCully-Moiliili, Mililani, Salt Lake, Waianae, Waikiki-Kapahulu, Waimanalo, and Waipahu. On Hawaii Island, visit public libraries in Hilo, Kailua-Kona, and Thelma Parker Memorial. On Kauai, visit the public library in Princeville. On Lanai, stop by the Lanai Public and School Library booth at the Saturday Market in Dole Park. On Maui, visit public libraries in Kahului, Kihei, Lahaina, and Makawao. If you could visit a world or time from a book, movie, or comic book, where would you go? Would you rather read a book first, and then watch the film adaptation; or watch the movie first? Half of Hawaii’s tropical forests have been lost to agriculture, ranching, and development. The first Polynesian settlers in Hawaii cleared much of the lowland forests for to plant crops, build fishponds, and cultivate taro. With Western contact, the export of Sandalwood trees and the import of livestock like cattle and goats destroyed many Hawaii’s forests. According to “Last Stand: The Vanishing Hawaiian Forest,” published by The Nature Conservancy, reforestation efforts in the early 1900s focused on fast-growing introduced species, instead of native trees. Today, Hawaii is committed to planting more native trees and plants. 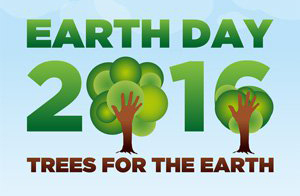 In honor of Earth Day 2016 and its conservation theme, “Trees for the Earth,” plant a Native Hawaiian tree and help restore our forests, our watersheds, and the air we breathe. Join millions of people around the world who are committed to planting trees and forests. Read about and support reforestation efforts by The Nature Conservancy Hawaii, the Hawaiian Legacy Reforestation Initiative, or the Hawaii Forest Institute. * Hawaii Island – UH Hilo Earth Day Fair: On April 22, join the free Earth Day Fair and Conservation Career Day at the UH Hilo Campus Center (9 am to 2 pm). Enjoy a Hiccup Circus, hula and dance, educational exhibits, presentations, and garden tours. * Molokai – Earth day Celebration: On April 22, celebrate Earth Day with The Nature Conservancy at the Mitchell Pauole Center in Kaunakakai (5 pm to 9 pm). Enjoy great food, entertainment, and educational displays. * Oahu – Mauka to Makai Expo: On April 23, visit the Waikiki Aquarium for the free Mauka to Makai Environmental Expo in Waikiki, Oahu (9 am to 2 pm). Kids can watch “The Journey Home” puppet show and everyone can learn from educational exhibits. * Oahu – Waikiki Beach Cleanup: On April 23, help cleanup Waikiki Beach (7 am to 9 am, check-in at Duke’s Statue at Kuhio Beach Park). The cleanup is sponsored by the Waikiki Improvement Association. * Oahu – Ka Iwi Cleanup: On April 23, meet at the Alan Davis Wall to help clean up the Ka Iwi Coast (8:45 to 11 am). Bags, gloves, and water will be provided. A picnic lunch will follow at Maunalua Bay. * Oahu – 1,000 Tree Giveaway: On April 24, stop by the Manoa Valley District Park in Honolulu, Oahu (8 am to noon) and adopt a native tree at the 1,000 Tree Giveaway, sponsored by Malama Manoa and the Manoa Outdoor Circle. There will be monkeypod trees, kukui, mountain apple, coconut trees, and more. * Oahu – Magic Island Beach Cleanup: On April 24, join a Beach Cleanup at Magic Island, hosted by the Honolulu Museum of Art with the Kokua Hawaii Foundation and Plastic Free Hawaii (9:30 am to noon). Refreshments will be provided for volunteers. * Kauai – Earth Day Rising VI: On April 24, celebrate the earth with Malama Kauai at the Community Farm at the Wai Koa Plantation in Kalihiwai Ridge, Kauai (9 am to 7 pm). Enjoy keiki activities, food, music, workshops, a clothing swap, and more. Admission is $15 (advanced) or $25 (at the door); kids under age 16 are free. * Oahu – Earth Day Festival: On April 30, get involved with an Earth Day Cleanup and Sand Sifter Competition at Waimanalo Beach Park (9 am to 2 pm). The cleanup is presented by Sustainable Coastlines Hawaii and will help beautify our beach around Waimanalo. If you can’t join one of the Earth Day events this weekend, make time for the “Plastic Fantastic?” exhibit at the Honolulu Museum of Art through July 10, 2016. Plastic is light-weight, inexpensive, and extremely durable, and microplastics (tiny particles of degraded plastic) are a growing problem on Hawaii’s beaches. Learn about the science of plastics and its effects on our culture and environment. Dr. Seuss’ The Lorax said, “Unless someone like you cares a whole awful lot, nothing is going to get better. It’s not.” How will you celebrate Earth Day? April is a month of spending and taxation. As individuals and businesses are filling out tax returns and possibly making tax payments and estimated tax payments to government, our state legislature and city councils are discussing how to spend our money. Whether it is our decision to buy something, or government’s decision to fund something, it’s all about our priorities. I started thinking about what are priorities are, and how our spending priorities reflect what is important to us. Just as our priorities influence how we spend money, government’s priorities influence the programs that are funded. Until the Social Security Act passed in 1935, Hawaii and the United States seemed to prioritize the common good – emphasizing charity and philanthropy instead of public assistance. Based on 2015 federal spending, the United States government seems to prioritize individuals – 65% of the federal budget was spent on Social Security, Medicare, Medicaid, and income security programs. Should Hawaii’s priorities be on individuals or the common good? 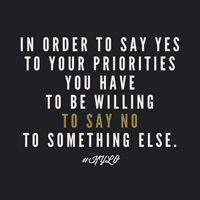 What are your priorities? Note: I found this elegant graphic on TheDailyQuotes.com, and I wish I could acknowledge the original author. In Hawaii public elementary schools, science is a big deal in the fourth grade. It’s the only grade that takes the Hawaii State Science Assessment. So I was encouraged when my fourth grader decided to enter the Honolulu District Science and Engineering Fair this year. He chose to give up some of his recess time. He chose to stay after school, meeting with other science fair scientists. He chose to spend much of his winter break running trails and working on his display board. At his school, 9 students started out and 7 students completed a science fair project. At other schools, the projects were conducted by individuals, teams, a class, or entire grade levels. I like the individual projects, because they let students take responsibility for the whole project. We didn’t push him to participate, but we encouraged him whole-heartedly once he was committed. The science fair was an opportunity to learn more about something that he is interested in. It gave him a timeline and a deadline to meet, so that he could work on his time management skills. It helped him work on his presentation skills, both in terms of graphics and personal interviews. It also let him spend time with other students who were just as dedicated as he was. At the elementary school level, the Honolulu District Science and Engineering Fair was exciting but a little disorganized. Every student received a “Budding Scientist” button to wear and gathered for a welcome assembly. Schools were assigned to different break-out sessions, with a third session for project evaluations. We walked among the science fair displays, which were grouped by school (not subject). Note #1: Ask three questions. What are you curious about? Can you finish within the time-frame? Can you afford to do it? Note #2: No pressure. Remember that this is an optional project, using their “free time.” When our son was frustrated, we actually gave him the option of not finishing the project. Though we want him to finish what he starts, it’s okay to admit that something isn’t as interesting as you thought. And it’s okay to fail, because you learn something from failure too. His frustration was just temporary, and he resumed with renewed enthusiasm. Note #3: Show them how to do it, and then step aside. Advise them on the experiment or design project, and then let them do it. Remind them about milestones, and then trust them to follow through. Teach them to use presentation software, and then let them do the writing. Note #4: Do a mock interview. Before the judges come to the school, ask students a few practice questions. This will make them more comfortable being interviewed and give them time to think about their answers. Note #5: What’s next? During and after the science fair, ask them how they could extend their project further – and which projects inspired them. Have you ever participated in a science fair? Do you know and encourage a “budding scientist”? In 1993, 12-year old hapa-haole (part-Hawaiian, part-Caucasian) Kathryn Kahele and her family – her father Robert, a lawyer who wants to fight for Hawaiian water rights, and her older brother David – move from their home in Pasadena, California to a small apartment in Honolulu, Hawaii. It’s a big change for Kate: she looks different, taking after her Caucasian mother; she doesn’t speak pidgin; she doesn’t like Hawaiian food; and she doesn’t feel as if she belongs. She is shy and quiet, and doesn’t like to confront other people. She is uncomfortable with her father’s family – her domineering Uncle Kimo and silent Auntie Alohi – and at school, where she is taunted by her classmate Chad. For the first time, she experiences the kind of prejudice and discomfort that her brother David felt in California. Then Kate begins learning hula (dance) with her classmate Mehana and kumu Kalama’s hālau (group). Just as she starts to feel connected with her friends and Hawaii, a bike crash leave with Kate with a cracked rib – and spurs her family to make a renewed effort to make her feel like she belongs. And a hula performance at a Hawaiian protest at ‘Iolani Palace leads to Kate finding her voice and her family coming together for a ho’oponopono (healing session). Through hula, Kate connects with people and finds a sense of family and belonging. “When the dancing was going well, as it was then, Kate felt at one with the music and with the whole universe.” Hula lets Kate express herself with movements and words, and later gives her the confidence to explain the sovereignty movement on television. Hula also helps people understand what the Hawaiians have lost. 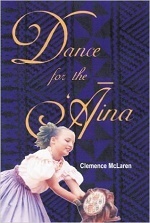 The novel takes place in 1993, the year that President Bill Clinton issued an “Apology Resolution” to Native Hawaiians that acknowledged the overthrow of the Hawaiian monarchy in 1893. McLaren portrays a realistic Hawaii in which some Hawaiians are angry over injustices in the past, Hawaiian families are torn apart by the debate over sovereignty, and people are judged by their appearance or last name. Kate’s father argues constantly with her uncle about Hawaiian sovereignty (recognition vs. independence). You are currently browsing the Better Hawaii weblog archives for April 2016.